Leaving a a smooth and long lasting finish. Indeed a pleasurable delight. The Rowanberry eau-de-vie is a unique product. Only the best ripe berries are used for its production. The full and firm aroma of this eau-de-vie is assured by the careful handling and delicate distillation carried out in bain-marie stills. The raw material and the secret of this very rare eau-de-vie are carefully chosen berries gathered by high mountain farmers and a slow distillation carried out in small copper bain-marie stills. Coffee Espresso Rocchi Special Bar Beans 1 kg. The mixture Special Bar is the result of an accurate selection between the best variedness of raw coffees. The soft and complete taste give this coffee, the prominent aroma personalised of the true espresso toasted italian-like. Marilleler Apricot Fruit Spirit South Tyrol Line 70 cl. - Pircher 34,70 EUR / 49,57 €/lt. Kirsch Pircher Cherry Spirit South Tyrol Line 70 cl. 29,25 EUR / 41,79 €/lt. Zwetschgeler Plum Spirit South Tyrol Line 70 cl. - Pircher 29,95 EUR / 42,79 €/lt. Williams Christ Pear Spirit with Pear 70 cl. - Pircher South Tyrol 27,90 EUR / 39,86 €/lt. Pear Fruit Brand Williams 0,50 lt. 42 % - Distillery Zu Plun 38,60 EUR / 77,20 €/lt. Williams Exclusiv Classico 40 % 70 cl. - Distillery Walcher South Tyrol 27,50 EUR / 39,29 €/lt. Hazelnut Spirit Roner 70 cl. - South Tyrol 26,70 EUR / 38,14 €/lt. Williams Christ Pear Spirit Riserva Pircher South Tyrol 70 cl. 25,60 EUR / 36,57 €/lt. Pear Fruit Brand Williams 43 % 70 cl. - Distillery L. Psenner South Tyrol 29,65 EUR / 42,36 €/lt. Williams pear destillate 50 cl. - Villa Laviosa 20,85 EUR / 41,70 €/lt. 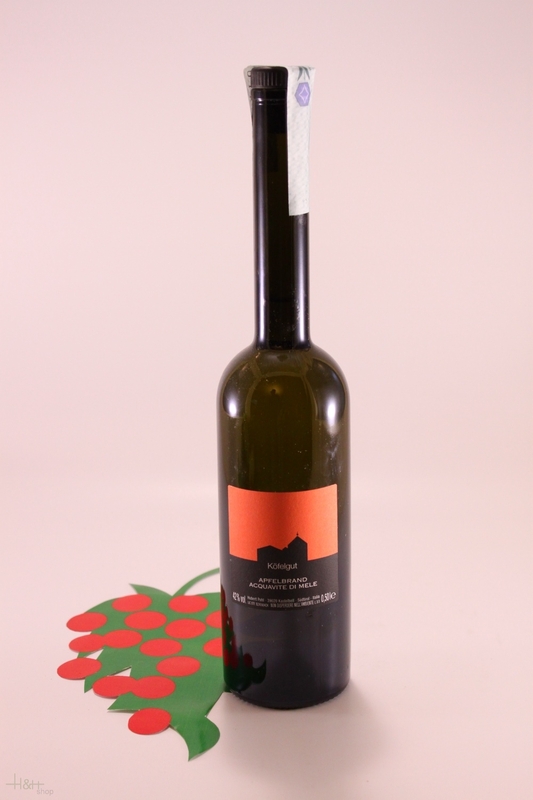 Obstler Apple Brandy 38 % - Distillery Walcher South Tyrol 22,60 EUR / 22,60 €/lt. Raspberry Distillate 0,35 lt. 42 % - Distillery Zu Plun 40,55 EUR / 115,86 €/lt. Rhum Zu Plun 50 cl. - 50 % - Distillery Zu Plun 50,65 EUR / 101,30 €/lt. Destillate of Williams Pear 40% 50 cl. - Distillery Unterortl Castel Juval 36,95 EUR / 73,90 €/lt. Destillate of Apricot 40 % 35 cl. - Distillery Unterortl Castel Juval 36,35 EUR / 103,86 €/lt.